Let us know if this has ever happened to you. You are driving along at night when you come up to a car with its taillights off. After passing it, you notice its headlights are on but only with daytime running lights. As is becoming increasingly more common, the driver of the car thinks their headlights are on because the DRLs are so bright, leaving the taillights dangerously switched off. Even, we noticed the DRLs were so bright, they could basically replace the full headlights at night. Unfortunately, this is a pretty common occurrence according to a (RAC) in Europe. The RAC surveyed 2,061 motorists to discover if they truly understand how DRLs work and if they have witnessed other drivers using them incorrectly. The results showed 62% of motorists have claimed to see "other cars and vans driving in dull overcast conditions without any rear lights on, while they noted these vehicles did have lights on at the front." Another 15% of motorists said they have never seen this and 23% were unsure. When asked if their vehicles were equipped with DRLs, 47% said no, 29% said their DRLs were only in the front, 14% said they were in the front and rear, and a worrying 8% knew they were in the front but were unsure about the rear. The point of DRLs is to increase the visibility of a car during the day, not to illuminate the road ahead. Driving using only your DRLs is dangerous, as is not having your taillights on. If you see someone doing this, try to safely grab their attention when you come to a stop and hopefully you will be able to prevent an accident from occurring. 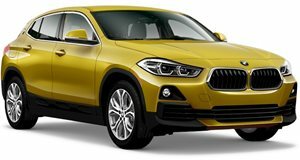 The X2 is beautiful, but does it feel like a true BMW?